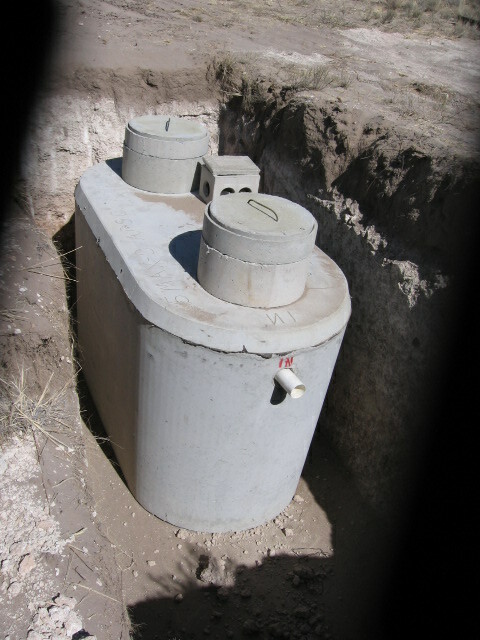 The next pictures are of the septic tank placed in the hole. It is a 1250 gallon tank and should be sufficient for the two of us and the occasional visits of the grandkids. 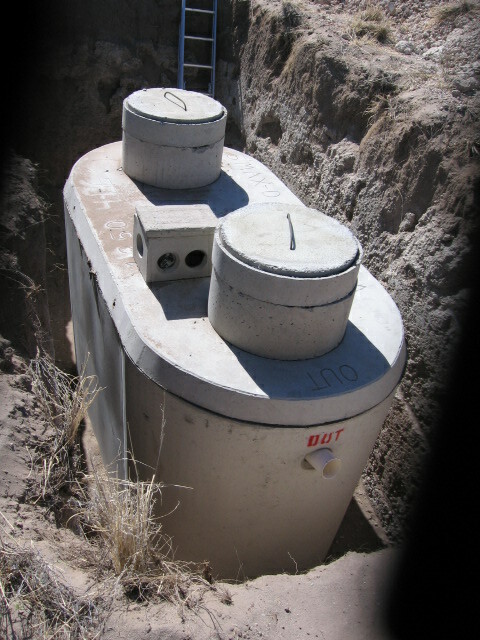 Septic tank in the hole. 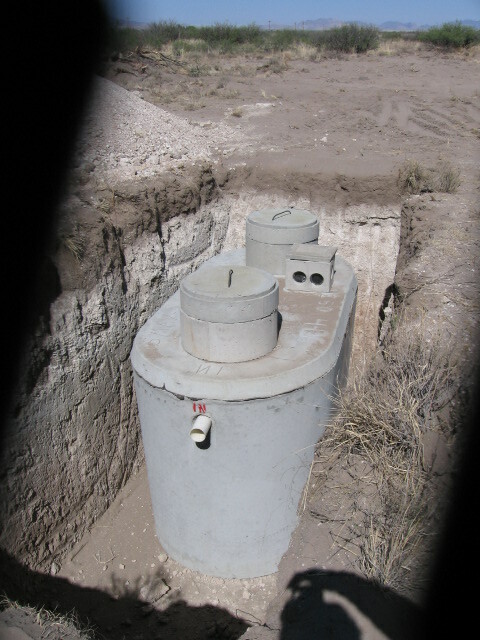 Another picture of the tank placed in the hole. Last picture of the tank in the hole. Ha!